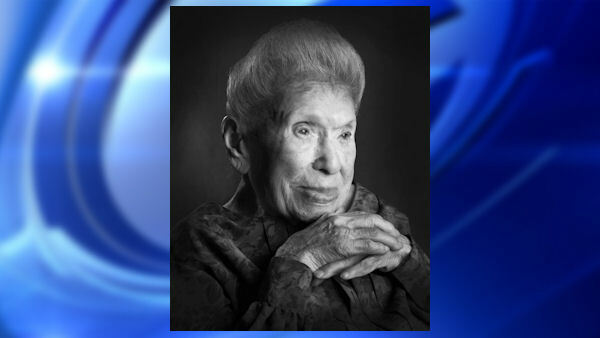 LONG BEACH, N.Y. (WABC) -- A 114-year-old woman who was the second-oldest resident in New York State passed away Sunday, according to a press release from her nursing home. Born on Oct. 30, 1900, Goldie Steinberg was the world's sixth-oldest person and believed to be the oldest living Jewish person in the world, the Grandell Rehabilitation & Nursing Center announced Tuesday. Steinberg was born in Moldova and immigrated to the United States at the age of 23, according to the center's release. Steinberg worked as a seamstress in Brooklyn sewing dresses and draperies when she met her husband, Phillip Steinberg, according to Grandell. The two moved into an apartment, where Goldie lived until 2004. Her husband died in 1967. "Goldie was a very special person," said her grandson, Peter Kutner. "She was one-of-a-kind. She was also a very selfless person; she always put others before herself. She was a fixture at Grandell; she will be deeply missed." While living at the nursing home, Steinberg spent her time watching the Yankees, knitting and helping her fellow residents, according to the release. "Grandell Rehabilitation & Nursing Center mourns the passing of Goldie Steinberg," said Baruch Giberstien, an administrator at Grandell. "She touched the lives of all the residents here. She will be remembered as a warm, caring person. She was an inspiration to all of the residents and staff. She showed so many how you can live a productive and rewarding life well into longevity."